Miami, FL – September 10, 2018 – Phacilitate and ACTSS are pleased to announce their partnership to produce the Advanced Cell Therapy Shanghai Summit October 29th-31st at the Kerry Hotel Pudong, Shanghai, China. ACTSS is the only event in China to offer global coverage of ATMPs from research and development to manufacturing and market access. The event is poised to capitalize on improved access to infrastructure and investment in advanced therapies, creating major opportunities in China. The joint venture between ACTSS and Phacilitate will build on the success of the first edition of ACTSS in 2017. The market approval of KYMRIAH® and YESCARTA® created a great deal of buzz last year and over the last 12 months, CAR-T has become increasingly relevant as new technologies, clinical developments and regulatory advances emerge. Billion dollar deals were closed on CAR-T assets and millions have been invested in start-ups focused on advanced therapy development. More than 70 speakers are confirmed on the agenda, including visionaries like Stephan A. Grupp, MD, PhD Professor, Chief Cellular Therapy & Transplant Section Children’s Hospital of Philadelphia (CHOP); John Rasko, President, ISCT; Bruce L. Levine, Ph.D. Barbara and Edward Netter Professor in Cancer Gene Therapy Pennsylvania Perelman School of Medicine; Xu Fang SVP, Sanpower Group; and many more. To review a full agenda, visit http://www.actss2018.org. “We have been able to bring together the brightest minds in the development, manufacturing and commercialization of advanced therapies. 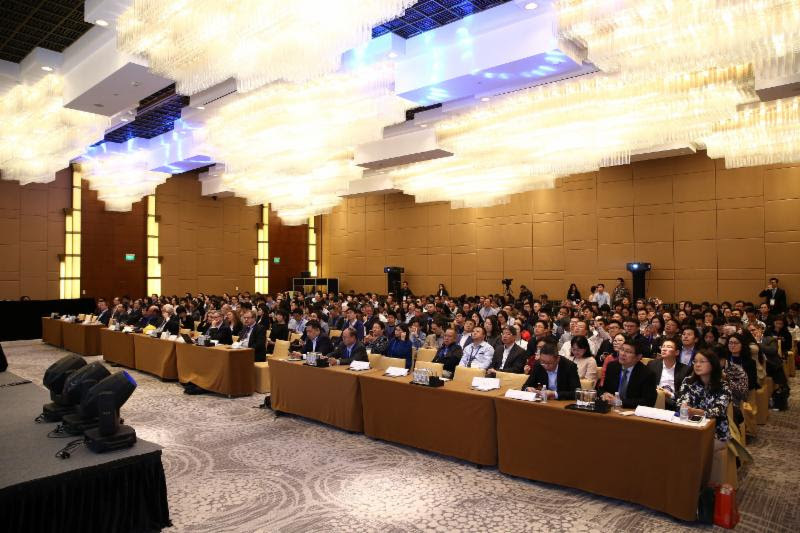 We have created a dynamic environment in Shanghai which will unite the investors, regulators and business development teams who are poised to revolutionize medicine,” said Laura Rae, Event Manager at Phacilitate. The latest news that approved products in the US will be made immediately available in China for certain therapeutic areas represents a multi-billion dollar opportunity for Western Biotech. The Chinese government has invested in scientific infrastructure, driving pioneering work in this part of the world. Over half of all CAR-T cell trials registered since 2001 are being conducted in China. Creating new therapies is critical with China’s massive patient population; for instance, there are more than 700,000 new cases of lung cancer diagnosed each year. Add an ability to conduct high quality trials to an international standard, and it is clear this is the right time to explore openings in China. ACTSS is an incredible opportunity for Western Biotech firms to achieve strong connections and new prospects. Phacilitate’s belief in the power of partnerships is the underlying value that influences everything we do. We believe that through strong partnerships and collaboration, anything can be achieved. By fostering the community and bringing together a diverse range of expertise from across the advanced therapies ecosystem, Phacilitate is creating a network of partnerships that bring us closer to achieving the ultimate goal of improving patient care and developing commercially viable curative treatments. This is the future of healthcare. We bring people together through our award-winning events, which focus on the business and the science of advanced therapies, creating unforgettable experiences and memories to connect and inspire. Phacilitate Leaders World, Phacilitate Leaders Europe and Advanced Cell Therapy Shanghai Summit are the pillars of our calendar and bring together the entire advanced therapies ecosystem. For more information about Phacilitate, please visit: phacilitate.co.uk. CRC Oncology and Phacilitate have partnered to deliver the Advanced Cell Therapy Shanghai Summit 2018. ACTSS is the only event in China to offer global coverage of ATMPs; from research and development through to manufacturing and market access. A world-class line-up of global regulatory experts and key opinion leaders will share key strategies to successfully operate in China, creating opportunities to connect with influential Chinese investors actively looking for partnerships. Register now to attend October 29-31, 2018 at the Kerry Hotel Pudong, Shanghai, China. Register and find out more at www.actss2018.org.